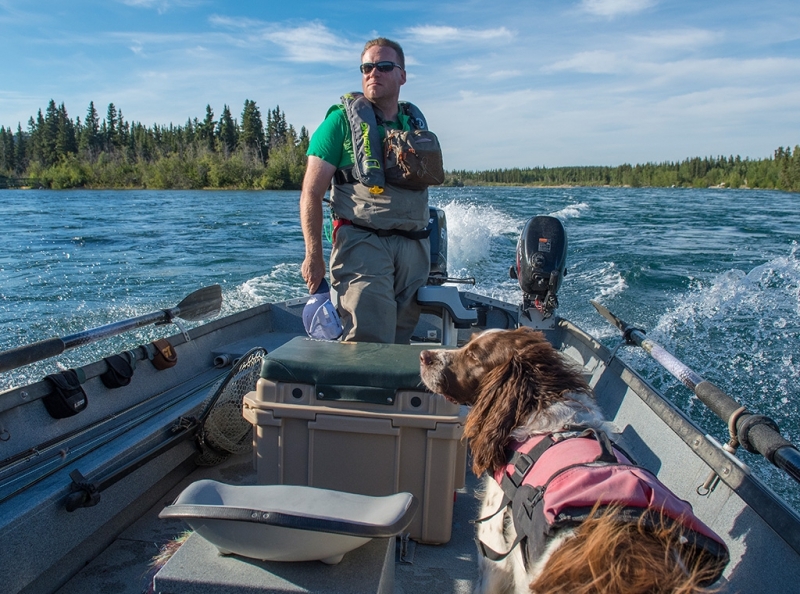 With all our trips we offer the most professional guided fly fishing experience in the Southern Yukon – our service and reputation are second to none. All of our guides have worked and lived in the area for many years and know the in and outs of the waters in their own backyard like no one else. 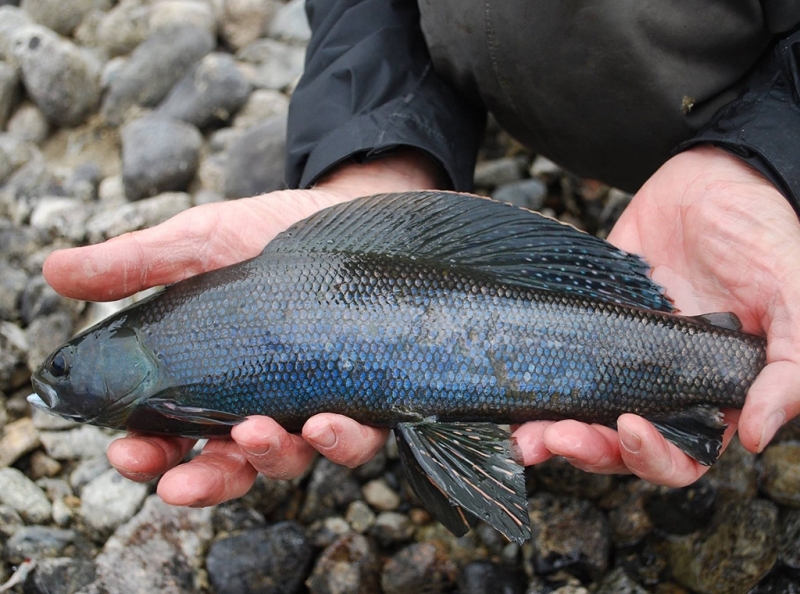 We have several different floats on the Takhini, Kathleen and Yukon Rivers alone, and of miles of walk and wade fishing along the East Aishihik River. Let us put together a fishing adventure of a life time! Have you ever wanted to drift a crystal clear river only fished a few times per year? This is the trip for you. 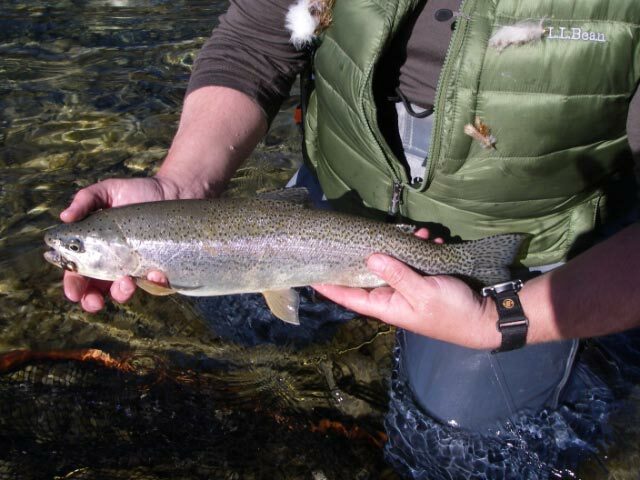 Southern Tatchone for river of many fly’s, the Takhini is a fly fishers paradise. Experience dry fly action under the midnight sun. 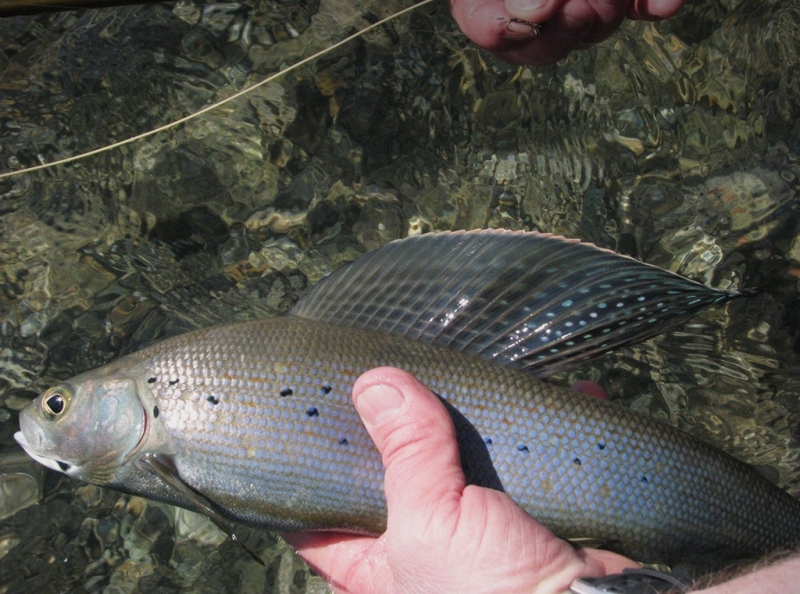 Arctic grayling and monster lake trout wait in ankle deep water to attack your fly. We guarantee your arm will be tired at the end of the day. Drift a portion of the historic gold rush highway. Instead of gold, you will prospect for pike, grayling, lakers and the occasional inconnu. In June the upper river is home to the Yukon’s only giant stonefly hatch, you can’t pass this up. Half day and evening trips give you a quick hit to sooth that craving for a tug on your line. Home to the water wolf, you will stalk giant northern pike over beaver dams and in secluded bays. Violent and spectacular, the takes are often right at the boat. 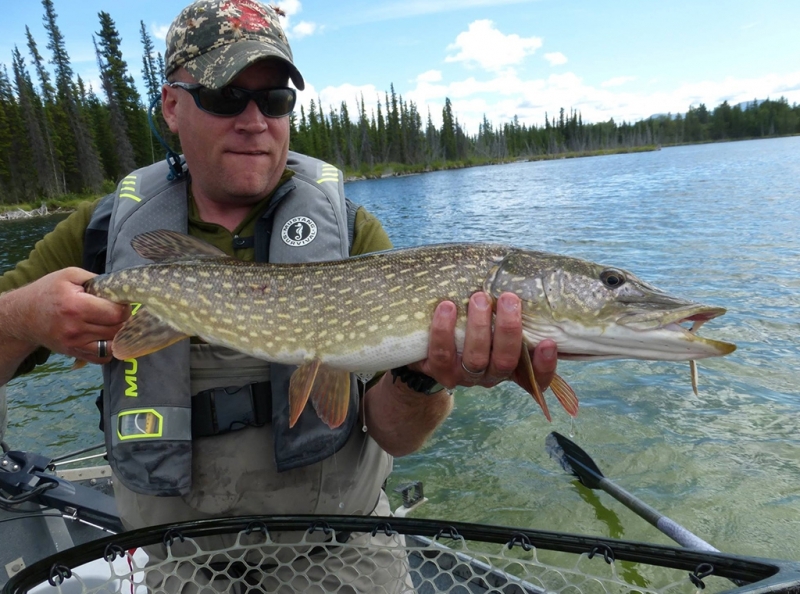 If you have never cast a fly over pike, we know you will be a confirmed pike-o-holic after this experience. A jewel in the Yukon Crown, this river is unique in its wilderness beauty and home to the Territories only native species of Rainbow. Once ocean going, these land locked steelhead will spool you every time. Come with us to see if you can catch a Kathleen Grand Slam – a rainbow, laker and grayling all in the same day. This little known freestone river is perfect to get your walk and wade on. Rainbow trout and grayling lurk in the pools and riffles awaiting your fly. This remote jem of a river offers the adventurous fly angler a chance to experience wilderness fishing without the need of a float plane. For multiple day trips we can arrange package prices to best suit your needs. We offer a Full-Service Fly Shop and fly fishing equipment can be purchased upon your arrival, and can also be pre-ordered to ensure availability when you arrive. Call us for more details. Steve is a real pro and has the uncanny knowledge to know every pocket & every riffle that holds fish on the Takhini River. Makes for a great day on the water. As a complete novice, I did a half day of instruction with Steve and it was worth every penny! Great selection of flys and equipment, and all of his flys are ethically sourced. Check out the great new location. I had an amazing day with Steve! I am a complete beginner and Steve was a great teacher keeping it fun, simple and interesting. We caught tons of fish and the Takhini River is stunningly beautiful! I highly recommend it! We both had never fly fished before so it was a super cool learning experience. Steve sure knows his stuff! If you’re looking for the BEST knowledge and service for fly fishing in the Yukon, look no further! Steve and his team are top notch and will make sure you get everything you need for an epic fly fishing adventure. Highly recommended! Talk about brilliant guiding, cooking, support, and gear... Steve brings it all. He knows the river like the back of his hand, and it is a treat and an honour to be fishing with him at your side.